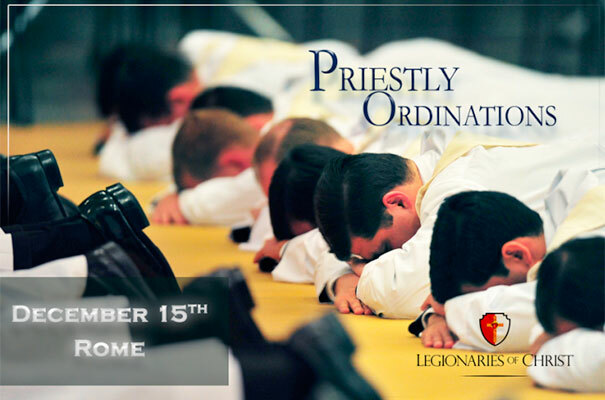 At the moment this is posted, the ordination mass of 44 new priests with the Legionaries of Christ will beginning in Rome. (I am there as this was written a few days ago with delayed publishing.) Mass begins at 9:30 Rome time but lasts 2.5 to 3 hours so you have time to pray if you don’t read this right away. I ask everyone to say a special prayer for them. It is only one more year for me and I really doubt I can ever be truly ready. Pray that God gives bothem them and me the grace to be holy priests.